SEOUL -- In a symbolic move to ease public safety concerns, South Korea's parliament volunteered to house a hydrogen charging station, responding to a government campaign to expand the use of fuel cells in the production of automobiles and electricity. National Assembly Speaker Moon Hee-sang described the hydrogen charging station in parliament as "a symbol of cooperation" to advance the era of fuel cell electric vehicles. 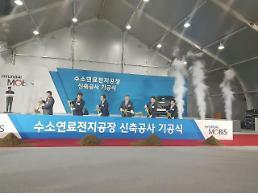 The Ministry of Trade, Industry and Energy's regulatory sandbox council has approved the establishment of four hydrogen charging stations in residential areas in Seoul. A regulatory sandbox exempts regulations on new products or services for a certain period of time. 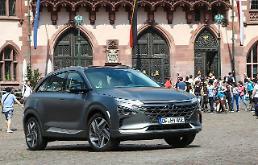 There has been a ban on the installation of hydrogen charging stations in populated areas for safety. 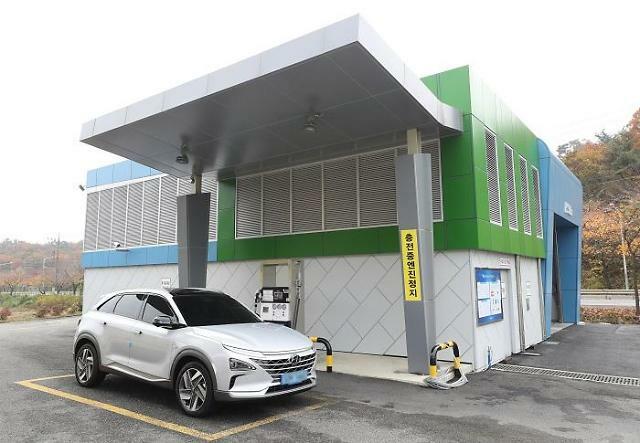 "The world's first hydrogen charging station scheduled to be installed in the National Assembly complex is very meaningful as it's hard to secure sites for charging stations due to public complaints and regulations," Trade, Industry and Energy Minister Sung Yun-Mo told reporters. Sung said the charging station in parliament would greatly contribute to easing public anxiety about hydrogen fuel. 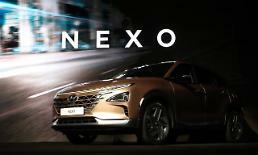 Because of its eco-friendly characteristics, fuel cells are considered the next-generation renewable power source, but hydrogen cars have been shunned by South Korean consumers mainly due to a lack of infrastructure. In January, President Moon Jae-in envisioned the so-called "hydrogen economy" to foster fuel cell electric vehicles as a new growth engine. South Korea has 12 hydrogen charging stations in operation and eight are being installed. There are two stations located at the outskirts of Seoul. 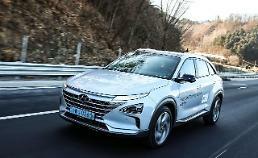 To boost the use of fuel cells, the government plans to produce 6.2 million hydrogen-fueled cars and install 1,200 hydrogen charging stations by 2040, along with state subsidies to hydrogen taxis and buses.